Used electric cars purchase guide: 5 questions to ask before purchasing used electric vehicles. What is important for a good deal and in order not to be disappointed by the purchase of used electric vehicles whether Alkè or another brand. We would like to explain, also for those not of the sector, which are the parameters to be taken into consideration in order to evaluate used electric vehicles. In fact, sometimes we have Alke' occasions or other brands on hand, but we cannot evaluate whether the deal is good or not. How old are the electric vehicles? The average life span of the used vehicles depends on the type of vehicle, but can also change on the basis of how it has been used during its working life. How does Alke' operate: the Alkè vehicles have an average life span of 10 years or over, therefore if an Alkè ATX is found that is three years old, this still has a long way to go; this will not be the case for an electric golf car of the same age, which usually has a much shorter life span. Are the vehicle electronics in good working order? The electronics must be in good working order and there must not have been any serious faults repaired by unskilled staff. 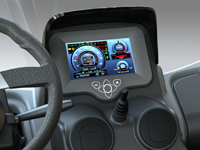 How does Alke' operate: before the sale of a used electric vehicle, an in-depth check-up is performed and the Alkè vehicle on-board computer is analysed; this detects the life of the electric vehicle in question, in number of recharges due to serious problems. The electric vehicle is completely overhauled after this analysis and any damaged parts are replaced. What is the state of the bodywork? This aspect is easy to understand; the vehicle must be checked from all sides. How does Alke' operate: Alkè controls the used electric vehicles meticulously and any defects are indicated before purchase and are repaired or replaced if they are serious or jeopardise vehicle efficiency. Are the mechanics of the used electric vehicles in good working order? 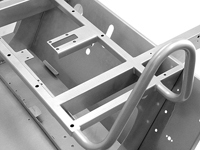 It must be ensured that there have been no serious accidents that have moved the support chassis and the general wear of the vehicle must be checked. How does Alke' operate: a general test is performed on all mechanical parts and, depending of the hours of work, badly worn parts are replaced. In the event of serious accidents, the damaged parts are replaced totally to take the vehicle back to its original efficiency. Have the used electric vehicles got a warranty? Ask if the used electric vehicle you are to purchase has a warranty. How does Alke' operate: Alkè generally always supplies a warranty period for the used electric vehicles; to find out about the warranty supplied with the purchase of a used Alkè vehicle, request more information from your nearest dealer. Sometimes our customers have a fixed budget and therefore want to purchase a used electric vehicle. This choice certainly ensures great savings. 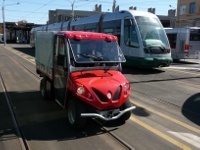 Alkè normally only has a few electric, diesel and petrol vehicles in the warehouse, as generally it is difficult to find used Alkè electric vehicles on the market. This is because customers use them and appreciate their strength. We know of customers that have electric vehicles with over 10,000 working hours and which still operate well; they have only changed the batteries and have no intention of scrapping them. In some occasions as manufacturer we take back vehicles given under leasing or we have demonstration vehicles used to show customers and exhibited at fairs in the warehouse. Before being sold, these used vehicles are completely overhauled and checked thoroughly. If you have a precise idea of how the vehicle will be used, tell us, and you will have a much more accurate and reliable estimate. If you prefer, you can also indicate the price range for the vehicle you wish to purchase.